It has been a busy two weeks for me and I hope it has been for you too! 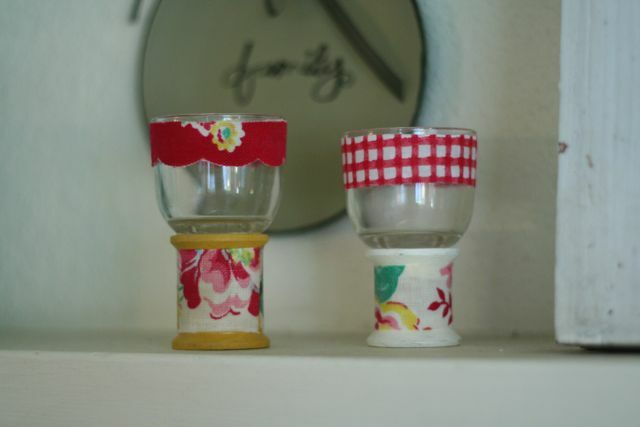 Have you made any of the DIY projects I gave you? For day 12 I have this cute little spool candle holder. 1. 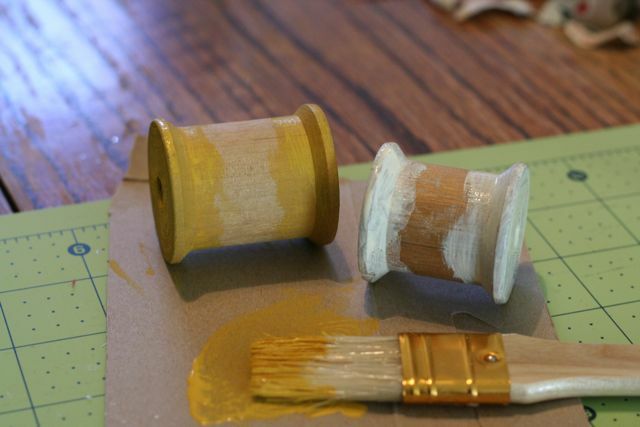 Take off the paper on each end of the spool and paint whatever color you like, you only need to color the ends. 2. Take your fabric or paper and cut to fit around the middle of the spool. 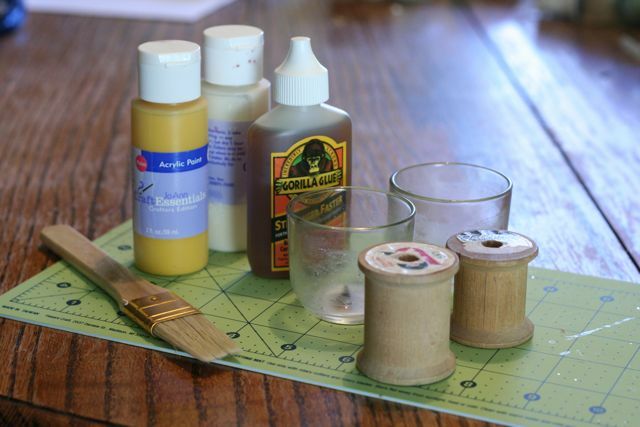 Use Mod Podge to secure. 3. 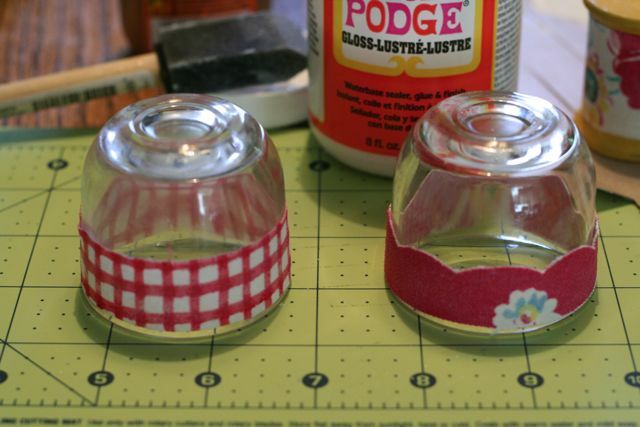 Use Mod Podge to decorate the glass candle holder, cutting and attaching whatever paper or fabric you would like. 4. 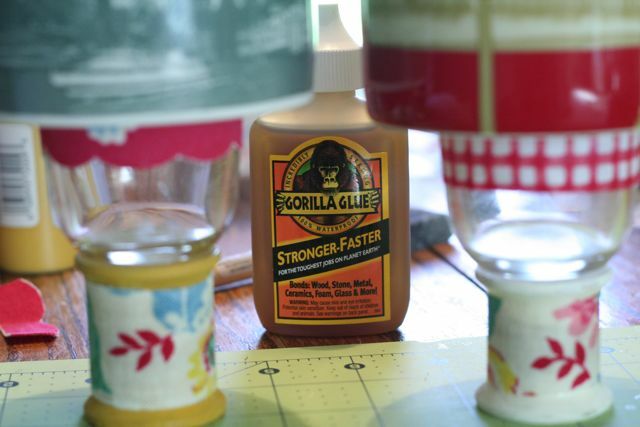 To attach the glass to the wood you need a bonding agent like Gorilla Glue. You only need a very little, too much and it will foam over the sides. 5. Let dry for two hours and add any other decoration you would like. Add a couple of tea lights and you are done! This entry was posted in Check this out!, Christmas, DIY, Holiday, tutorial on November 13, 2010 by Deanna. These are great! 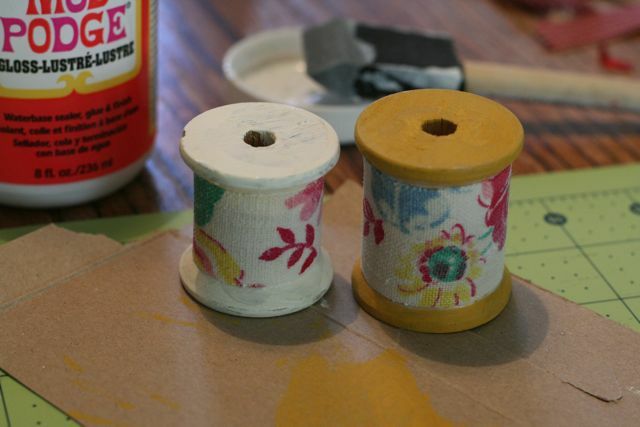 I LOVE vintage spools! 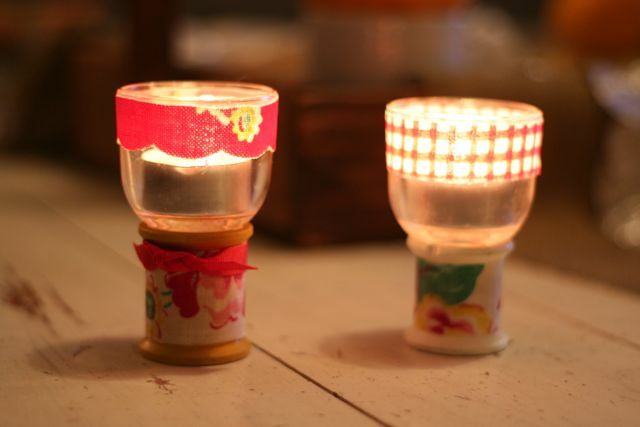 I just posted on my blog about some other crafts with spools: http://amybarickman.com/blog/misc/spool-craft-christmas/, but I really like the candle holder idea. Thanks for sharing!